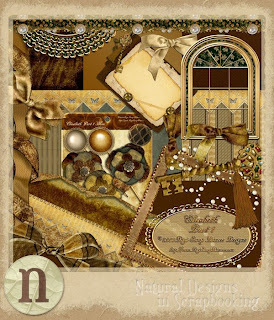 Creative Team Member SallieK has created a lovely cluster to share with you. Sallie used my Elizabeth Collection to create this gift. Enjoy the freebie & please leave a little love for Sallie on my blog when you download. Click Cluster Preview to download. 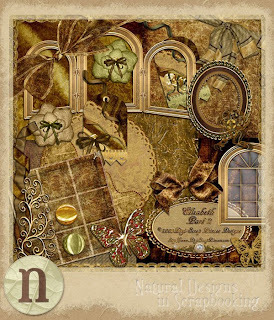 CT member Jan Ring has created a beautiful 5"x7" Brag Book Page for you using Annie's Rain by Digi-Scrap Princess. Thanks Jan! Click image to begin your download. Enjoy the gift & don't forget to leave a little love. We appreciate your comments. 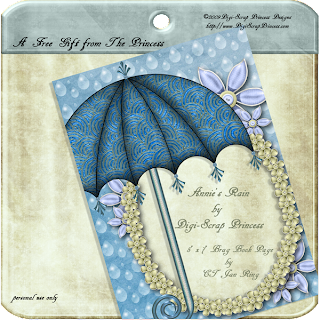 Annie's Rain is available at NDISB.